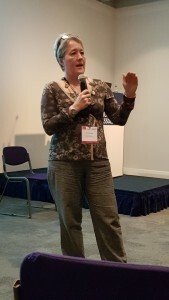 Alison Hawtin and Ali Coles will report back on the response to their presentation at the Museums Association conference and will lead a discussion on what museums are looking for from Art Psychotherapists, and how we can communicate what we can offer. Drinks and refreshments are provided. Please bring a packed lunch. This counts as 5 hours towards Continuing Professional Development. 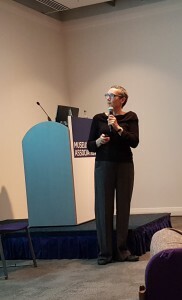 Alison Hawtin and Ali Coles presented a session on Museums and Psychotherapy at the Museums Association conference in Glasgow. They talked about using museums objects and settings within Art Psychotherapy, and about the particular skills which Art Therapists can bring to museums/galleries. They gave out a handout which you can find in the front page of the website. The room was full – over 90 people – and people were really interested in what they had to say. Some told them afterwards that they are thinking again about the kind of work they expect arts in health practitioners to do, and several said they wanted to get in touch with Art Therapists locally. The idea of a training day for museum staff about working with Art Therapists was also discussed. This week is National Museums and Wellbeing WEEK. Events, Activities and Inspiration showcasing projects can be found here. BAAT will also be posting projects that MAGSIG members are involved in on their Facebook page for each day of the week! A fascinating slew of articles written by various MAGSIG members featured in December 2015 issue of BAAT Newsbriefing. The 4 articles give insight into how our members have brought art therapy practice successfully into gallery and museum settings. They are great overviews that can be shared easily to further promote art therapy beyond clinical settings. You can find them here, in one handy document. If you would like to quote form the articles, please reference them to BAAT, Newsbriefing December 2015 and the individual authors. 2 Speakers will share experiences from projects in forementioned gallery, and about sustaining an NHS-Museum partnership. Please RSVP with ATMAG Coordinators. Presentation from Jane Landes and AT Trainee Elaine Homer about “Picturing Memories“. Ali Coles introduced the Cultural Commissioning Pilot Project and later a workshop session where the use of art materials was encouraged in responding to objects. Please see meeting minutes (mins25:4) for more details.